Phil Collins is the former singer/drummer/songwriter/frontman for Genesis. Collins played drums on Peter Gabriel's third self-titled record (often referred to as "Melt" or "3") and was the first record to feature the "gated reverb" or "cavernous" drum sound that became one of Phil's trademarks. Phil also performs drums on the 1982 album "Something's Going On" a solo album by Anni-Frid Lyndstad (Frida) or ABBA fame. He also sang a duet with Frida titled "Here We'll Stay." This is a great album for late nights with the wife, if ya know what I mean. Being the huge Genesis fan I was (and still am), I loved this album when it came out and still enjoy it today. However, I find I mostly enjoy listening to it for the reason I listed at the beginning of this paragraph. "Behind the Lines" is a jazzy version of the Genesis song, and "Tomorrow Never Knows" is a real psychedelic Beatles tune. (Trouble also does a mean version of that song.) Of course the big hit off this album was "In the Air Tonight" which featured that big echoey drum sound that became a Phil's signature sound. This is truly one of Phil's greatest and most recognizable songs. Phil Collins has always been a guilty pleasure of mine, not that I am actually feeling guility. It's just Phil's solo stuff seems to be a bit outside of my normal tastes. However, there is no denying that the man is a soulful singer and a talented songwriter. With Phil's second solo album, there was still a tremendous buzz from "Abacab" which had been released less than a year earlier. Some songs on "Hello, I Must Be Going!" have a similar pop vibe. In particular "I Don't Care Anymore" could easily have been a Genesis song off of "Abacab" or "Duke". Likewise the dark, "Do You Know, Do You Care" could have fit onto a later day Genesis platter as well. Other songs lean towards the jazzier, funkier side of Phil Collins, with Earth,Wind & Fire's horn section lending a hand on songs like "I Canot Believe It's True", "It Don't Matter to Me" and instrumental "The West Side". "Don't Let Him Steal Your Heart Away" is a beautiful, emotional ballad; one of Phil's finest. Oddly enough, the quirky cover of The Supremes' "You Can't Hurry Love" became the big hit single from this album. The song gave Phil Collins a #1hit single in the UK and a Top 10 hit single in the U.S.. The song pushed the album into triple-platinum sales in the United States alone. The Supremes' cover also hit the Top 10 of Billboard's Adult Contemporary charts and the album reached #2 on the UK album charts, staying there for well over a year. 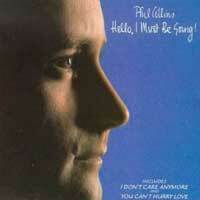 Another mega-hit record for Phil Collins. Phil is such an oddity. He doesn't have the look of a pop star, or even a rock frontman, yet he has released some of the biggest pop records in history and has fronted one of the greatest rock bands in history, Genesis. "No Jacket Required" gave the world four Top Ten Singles: "Susssudio" (#1 in US, #12 in UK), "One More Night" (#1 in US, #4 in UK), "Don't Lose My Number" (#4 in US), "Take Me Home" (#7 in US, #19 in UK). "Sussudio" is indeed a brilliant pop song that easily could have been used on some of the later day, poppy Genesis albums. Thanks to the string of hits, the album was #1 on the pop charts in the US for 7 weeks in a row. 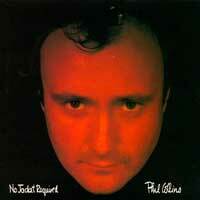 "No Jacket Required" won a Grammy Award for the "Album of the Year" and "Best Production". There is not doubt that the production on this CD is outstanding. The album was also certified "Diamond" which means the album sold over 10 million copies in the US album with more than 12 million being sold worldwide. It's one of the best selling albums of all time. 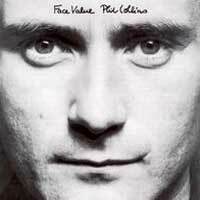 As such, despite Phil Collins solo music being one of my guilty pleasures, I rarely listen to this album. It's just one of those albums that was so overplayed in my lifetime. Even decades later, many of these songs are heard on rock and pop radio over and over again. As such, I much prefer to spin "Face Value" or "Hello, I Must Be Going". However, every once in a while it's worth a spin and really does live up to the hype. "Both Sides" the first Phil Collins album made entirely on his own, without the use of collaborators, producers and outside songwriters. Over a period of about 6 weeks, Collins played and recorded all the instruments (including bagpipes) himself at his home studio as well as taking care of the production duties. Thus, "Both Sides" is truly a solo project. Musically, "Both Sides" is a fairly mellow affair. It's melancholy, adult-contemporary album with a heavy number of slower, dark, downbeat songs. The album is so personal to Phil that he put in liner notes to go along with each song. Oddly enough, though the album sold platinum in the U.S., it was considered somewhat of a commercial failure because it didn't generate the same sales, hype and #1 hit singles as past albums. However, commercial failure by industry standards does not equal band music. 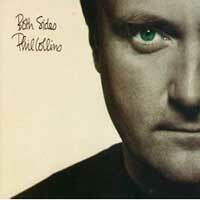 In fact, "Both Sides" being Phil's darkest and most personal album is my second favorite behind "Face Value". So how does it fit on this site? Well, it really doesn't except for the fact that this is my CD collection and this is an album that I enjoy for certain moods. It's a beautiful album for spending evenings with my wife. 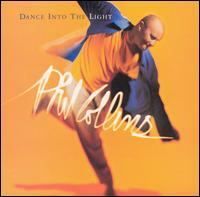 "Dance Into the Light" is Phil's first solo album as a full-time solo artist, having exited Genesis the same year. It is the first solo album from Collins to not feature any Top 40 hit singles in the U.S., though it isn't a drastic move away from his past few solo albums. For casual fans that will most likely mean they can just ignore this album. For those of us that don't care about hit singles, "Dance Into the Light" is actually a refreshing listen from time to time. The album is a very mellow "adult contemporary" album, though there is some airy upbeat, R&B-influenced pop as well. As such, it's really mood music for me. "Dance Into the Light" will never be a frequent player, but if I am in just the right mood, it is quite relaxing. Unlike Phil's last solo album "Both Sides", this album is full of intricate drum work. Songs like "Just Another Story" is a jazz-based number driven by a funky drum beat, whereas, "Lorenzo" has a more tribal, primitive drum beat. "Wear My Hat" has some latin percussion work driving the song. The rhythm, horns and off-hand lyrics on "Wear My Hat" remind me of something Simon & Garfunkel might have written and recorded. "The Times They Are a-Changin'" is a Bob Dylan cover that has a bit of a Peter Gabriel vibe. I'm sort of surprised that some of these songs didn't become "hits" as there is plenty of pop-based hooks throughout. The title track is easily as good as any of Phil's big hit songs, and in fact was a minor hit in some countries. Perhaps Phil's smooth contemporary music just wasn't fitting in with the times. Perhaps people were just confused as most of us were under the impression that "We Can't Dance". 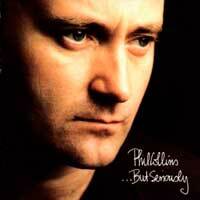 After the release of "Dance in the Light" it seemed that Phil Collins relegated himself to doing movie soundtracks. In fact, Phil's "You'll Be in My Heart" from Disney's Tarzan became one of the biggest selling adult contemporary singles ever. 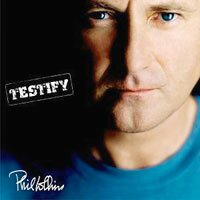 "Testify" was Phil's first full length solo album in six years. As with much of Phil's solo material, "Testify" is twelve songs of mellow adult contemporary, rarely ever crossing over into rock and roll. Being a drummer, Phil always uses rhythm as the basis for his music. The album seems to be autobiographical in nature. The lyrics follow a man's life from getting up in the morning, through having and raising children, falling in love, marriage, living in a crazy world, to love lost. Basically, a mature album full of love songs. Sure, it's all a bit cheesy, but so what? This isn't suppose to be thought-provoking, technically-challenging prog-rock. "Testify" is mood music. It's melodic and relaxing.